Microbiology is very important for the dental students, in order to diagnose oral microbial infections which are intimately related to overall treatment plan for the patients. The two major oral disorders, caries & periodontal diseases are due to changes in the oral bacterial ecosystem. The advent of Human immunodeficiency Virus (HIV) in the early 1980s & subsequent concerns on cross infection via contaminated blood & instruments have resulted in increased regimentation of infection control practices in dentistry. For safe practice, the discipline of Microbiology is intimately woven into the fabric of dentistry & comprises of a crucial component of dental curriculum. 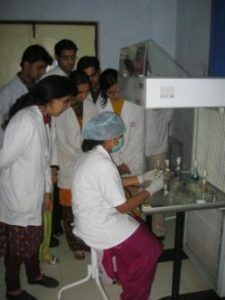 The department has a well equipped laboratory with laminar Air flow work station, Autoclave, Hot Air Oven, Incubator, Anaerobic culture Jar, Binocular Microscopes & High precision Electronic Balance. 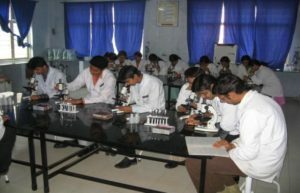 Apart form these, we provide Research & development facility to the students of Microbiology of other colleges.